Front Page > Swindon Life > They've Done It! There was plenty of smiles - and laughter - at the Great Western Hospital in Swindon this week after Brighter Futures Radiotherapy Appeal hit its target of £2.9 million. Fundraisers were treated to a surprise flash mob singing Queen’s ‘Don’t Stop Me Now’ at the hospital entrance as trustees, staff, patients and local dignatories celebrated the occasion. 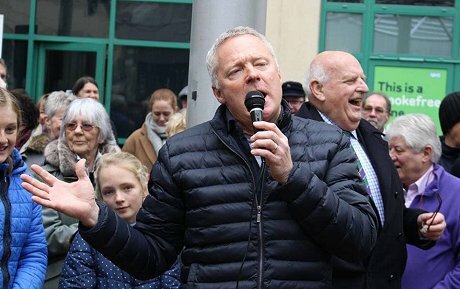 They included Rory Bremner, who lives locally and was a key face of the fundraising effort, who gave an impromptu speech Donal Trump-style to thank everyone for their involvement (see video below). 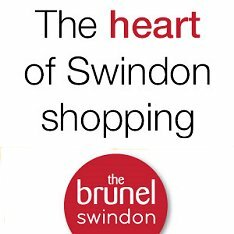 The appeal, which launched in May 2015, has seen hundreds of local people across Swindon and the surrounding areas take part in a variety of activities to raise the money needed. Supporters have jumped out of planes, cycled across the UK, motored to Cyprus and Mongolia, walked from Oxford to Swindon, climbed Mount Kilimanjaro, taken on the London Marathon and Great North and South runs. Hundreds more local people have hosted bingo nights, cake sales, tea parties, discos and head shaves, among many other activities. Local organisations have also donated large sums to support the appeal, with the International Rotary Grant pledging a staggering £175,000. “It’s been amazing to see the local community pull together and get behind the appeal, raising money in such creative, challenging and fun ways over the last three and a half years. “Receiving radiotherapy treatment in Swindon will make a huge difference to the lives of so many people, saving over 13,000 journeys to Oxford every year. The £2.9 million raised by Brighter Futures will buy specialist equipment which will be used in the new centre to be built on the Great Western Hospital site, and which is expected to be open to patients in 2021.